The Real Hotel Huascaran is located in a quiet area away from the noises and screams of the environment, with panoramic views of Mount Huascaran and Huandoy; encourage to have a beautiful wake up in the company of nature ....! For your convenience, we offer the services of a first class hotel in a warm, cozy, private and ample parking area and secure. In The Real Hotel Huascaran you can choose from a single room to an elegant suite, with first class services, assistance by friendly waiters rooms always ready to serve. Heating, telephone, room service and more. 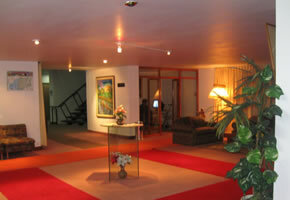 So comfort, convenience and quality service will make your stay an unforgettable experience. 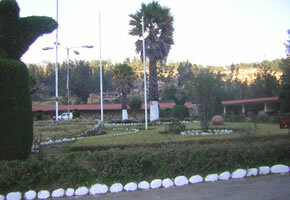 Its excellent location in the district of Independencia, Avenida Centenario Cuadra 10s / n, Huaraz - Peru, offers a comfortable and cozy environment for your business meeting or pleasant stay, a few blocks from board independence, the exit for the Callejon de Huaylas and all that warm, cozy and beautiful tourist valley. Airport 25 minutes Interprovincial "Anta". 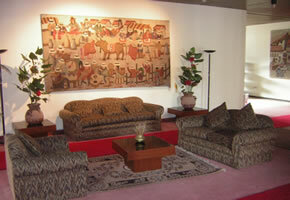 We provide the best care and comfort in its 34 rooms, Singles, Doubles, Triples and Suites completely carpeted. Note : Prices do not include IGV for Peruvians and foreign residents in Peru.